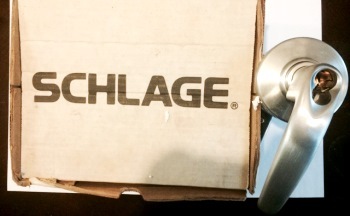 We work with only the best Lock Brands for your home and business door lock needs! At King Door and Lock, we are experts at installing, repairing, re-keying, and replacing door locks and locksets. We have been serving the Maryland and Washington DC areas for several years now. Properly functioning locks are crucial for your family’s and business’ safety. Don’t trust their installation and repair to just anyone. At King Door and Lock, we employ only expert lock technicians with at least 5 years’ experience in all of our lock services. Our skilled technicians use state-of-the-art equipment and tools to upgrade, install, and replace door locks in MD and DC homes and businesses. At King Door and Lock, we have a reputation for superior residential and commercial door installation and lock replacement services. If you already know what lock brand you want installed, re-keyed, replaced, or repaired, call us now for immediate and affordable service for your residence or commercial establishment. In addition to specializing in door locks, we are also experts in interior door installation. 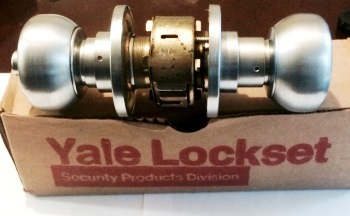 Call now for the best door lock installation and customer service in the Maryland and Washington DC area. We Use Only the Best Quality Lock Brands for Your Doors! Lock Brands in Washington DC and Maryland https://kingdoorandlock.com/lock-brands/ 4.0/5 based upon 14 reviews.